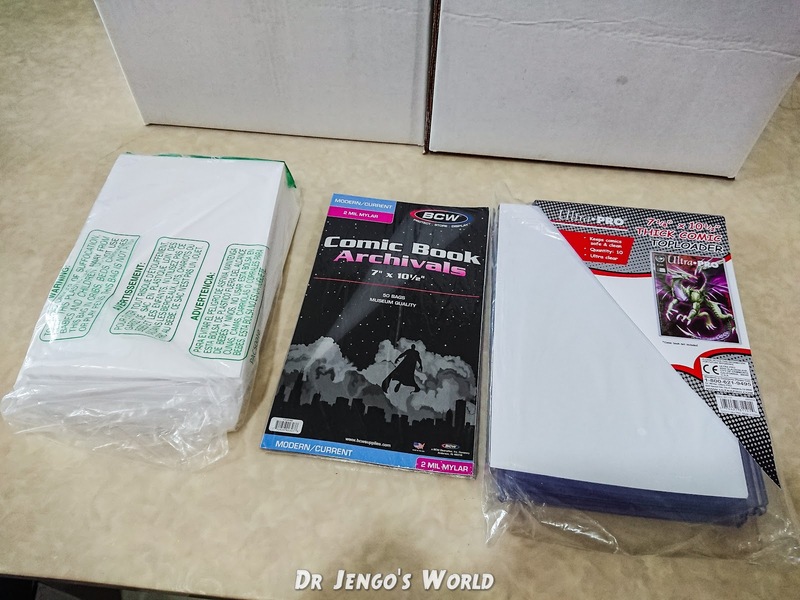 Dr Jengo's World: New BCW Comic Supplies for my Comics! Considering how valuable some of these comics are and having gotten some of them signed by artists at STGCC, I wanted to get better protection for the comics. Did a bit of research and decided to go for these.. 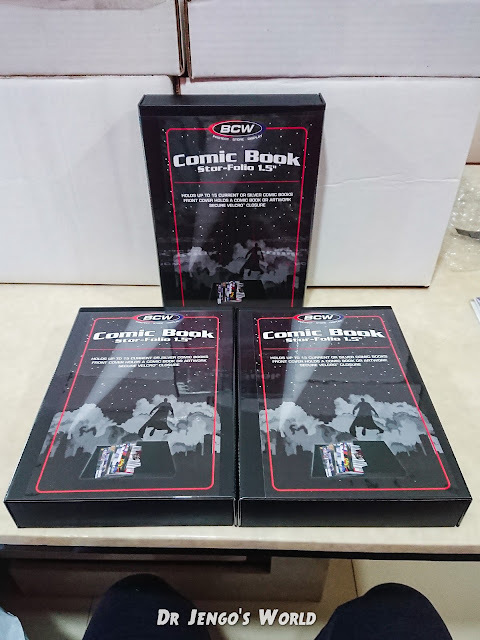 I have heard a lot of BCW's comic products but couldn't find these locally. Left are Backing Boards, middle are the clear Mylar Bags, and the right are Comic Toploaders. Comics usually come with Poly Bags and most stores provide Backing Boards for free or for a small cost. 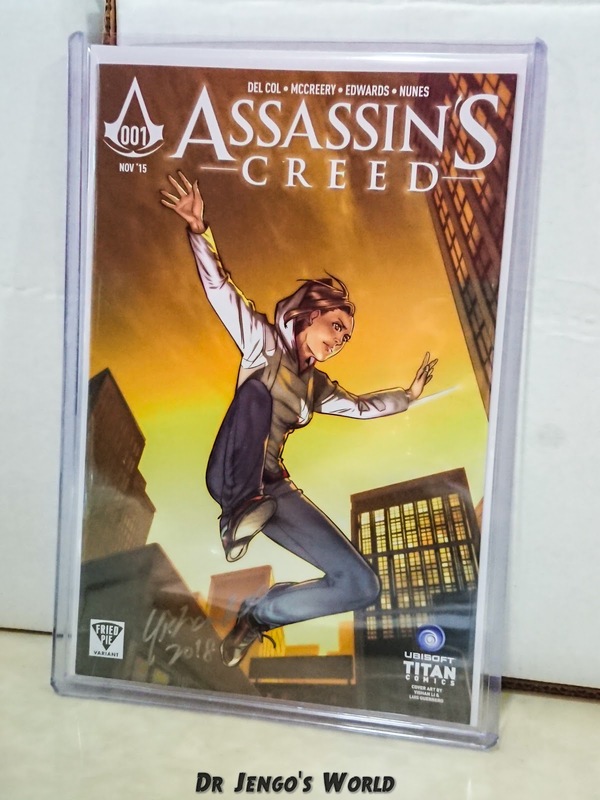 Usually, those are perfectly fine for keeping your comics in mint condition. 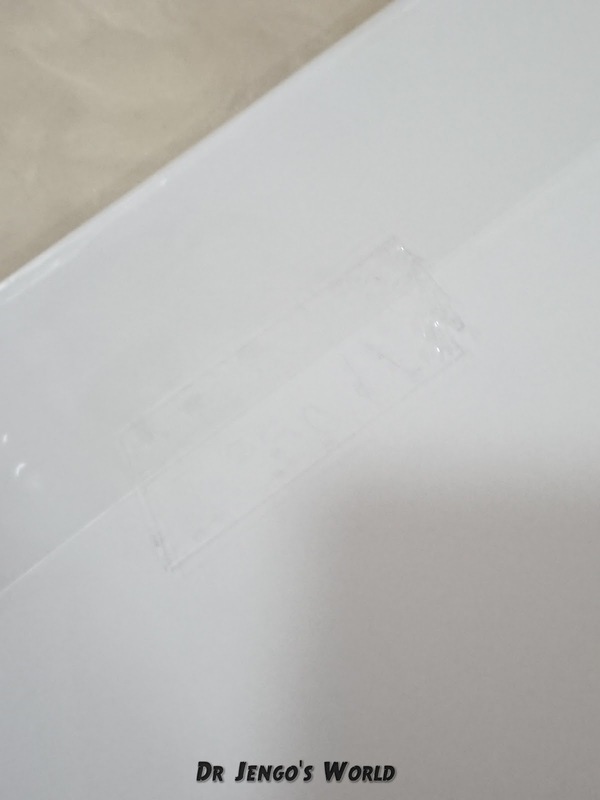 However, I noticed that the regular backing boards start turning yellow after some time. Apparently these boards are acid-free and will last a much longer time before they turn yellow (4-5 years). The problem with poly bags is that they can be a bit loose.. and you will be able to see wrinkles and the bags being a bit loose in certain areas. And now with Mylar Bags, the bags are really tight so the cover looks really clear. I do have a problem with inserting the comics in, because of how tight they are. Bent one of my comics slightly because it got stuck.. doh! So now I just try shaking it in. 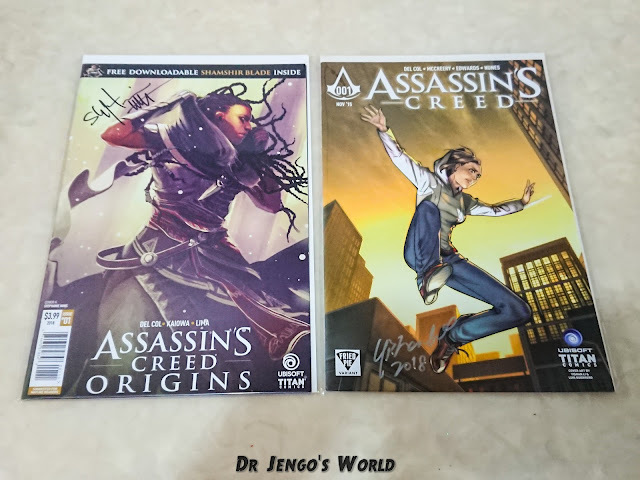 Unlike the poly bags which come with the sticking function at the back, you have to get your own tape for these Mylar Bags..
With these 2 comics signed, I wanted something that I can display them with..
.. which is why I got these toploaders! I find them very clear and looks quite professional, you can lean them against any wall or stick them up on your wall. The Toploaders are a bit costly, so you might want to select your favourite ones for display but definitely saves you a lot compared to grading them. You definitely can't compare grading to what I have but if you are on a budget, this does the job. They are very affordable and comes in packs of 50-100. Great to overhaul your collection and providing good protection for these amazing art covers! I bought only 1 set of everything but I'm very satisfied with these and will be looking to get more for my new place. Great for storing the valuable comics and also to keep them safe in your bag when you bring them out to sell or for future conventions! What do you guys think of these and is there anything else that you would recommend for comic displays and even for storage in general? 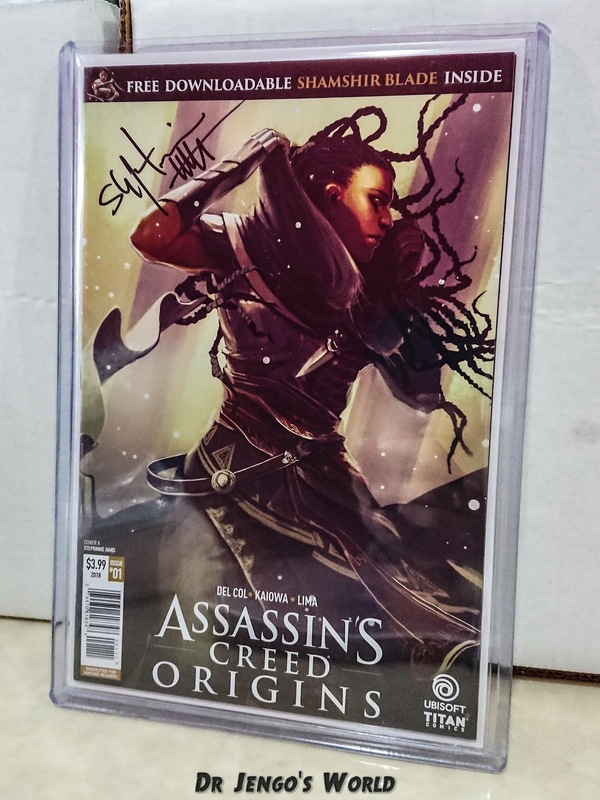 Would love to see what comic collectors would recommend before I spend on more of these! If you guys are looking for these comic supplies, why not use the Affiliate Links below to purchase some for yourself? Affiliate Links may earn this blog a commission, if you click and purchase through these links, at no additional cost to you.